The monastery is famous for its magnificent library. Back in the 9th century, Daud Bar Paulos Beth Raban (d. 837) wrote to a bishop, "My grandfather wrote two books in the form of questions and answers against the Nestorians , and three books answering 60 questions put forward by another Nestorian, and I think that the books are in Mar Matta monastery." It is also mentioned in a colophon of a Syriac manuscript (Berlin, no. 327) that in 1298 the library contained all the writings of Bar Ebroyo which are more than 35 books. In 1171, the Kurds attacked the monastery and many of the manuscripts were damaged; some that survived were carried by monks to Mosul. In 1369, another Kurdish attack on the monastery damaged more manuscripts. Today manuscripts from this monastery can be found in the British Library, Cambridge, and Berlin. 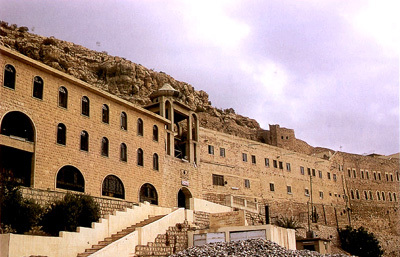 Passing the monastery in 1841, Horatio Southgate records that the monastery was "uninhabited, but formerly the seat of the Syrian Patriarchs , and still nominally the residence of the Maphrians" (p.156). 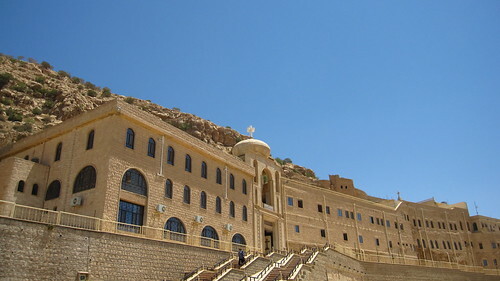 The monastery is the seat of its own Archdiocese. Its current bishop is Mor Temathaus Musa Alshamane .